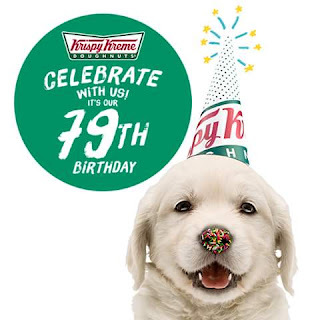 Celebrate: Krispy Kreme 79th Birthday! Here's another birthday treat from Krispy Kreme! Buy 6 Krispy Kreme Original Glazed Doughnuts at regular price, and get 6 birthday doughnuts for only P79!